These were tucked into our latest shopping order from Morrsiosn, they are the new flavour from Werther's Original, Taste of Caramelised Apple, and they are Sugar Free too. The box is a lot smaller than the picture suggests, these are very much pocket size, so perfect for slipping in to a handbag too. Perfect for travel. The pastels are two tones and are swirled in appearance, but not individually wrapped. I think perhaps because they are sugar free they may not get sticky. The sweets are hard solid pastels and are not chewable. I tried one, and found that they were quite delicate in taste. 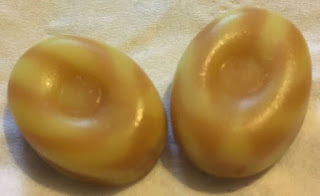 They are sweet, and have a hint of apple and custard, but it is just a hint. What is lacking is the rich creamy flavour that I associate with Werther’s, these particular sweets were not rich in that way, just mild. To be fair the apple tasted fairly natural, and the toffee taste was pleasant with it. These are nice easy going sweets, but not something I’d rush out to buy again. 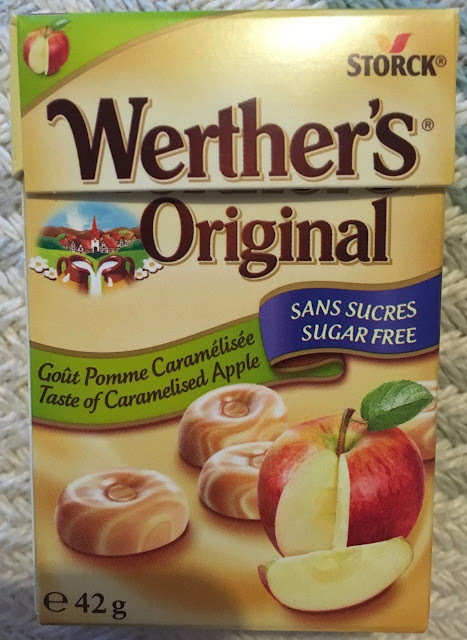 If you are following a Sugar Free diet it is nice to see companies like Werther's Original catering for this, and hopefully they will bring out some stronger more exciting flavours.